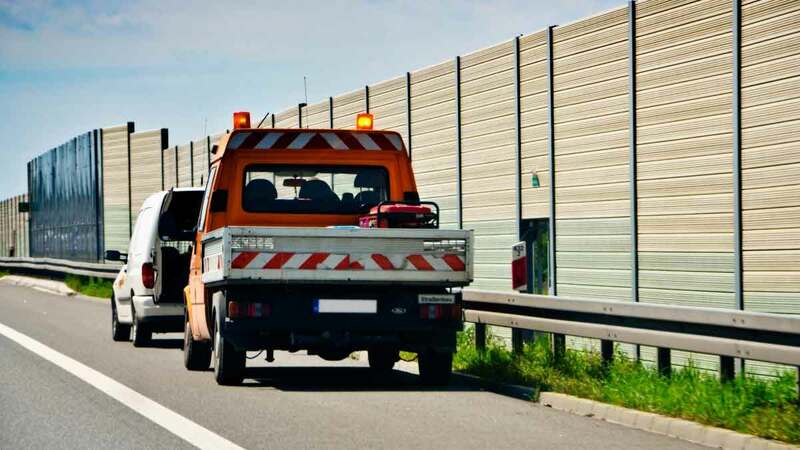 Olympia roadside services company, Nisqually Automotive & Towing provides 24hr emergency roadside assistance in Olympia, Lacey, Tumwater and greater Thurston County. Our team of experienced and Wreckmaster certified professionals are prepared to provide you with fast and affordable Olympia roadside assistance. Our fleet of dedicated roadside vehicles and battery service vehicles are staged throughout the area, so we can have a technician to your location within minutes. Our roadside assistance team is standing by, ready to assist you anytime of day or night – 24/7/365.Call our 24-hr dispatch center now at 360-491-HELP (360-491-4357) to get someone headed to your location. Nisqually Automotive & Towing provides fast and affordable jump start services in Olympia, Lacey, Tumwater and greater Thurston County. Our service truck is equipped with mobile jump start equipment capable of jumping vehicles even in the tightest garages and most remote areas. Call 360-491-HELP to speak with a member of our Roadside Team and get the nearest 24hr roadside service truck headed your way. Nisqually Automotive & Towing provides 24hr flat tire changing services on I-5, US 101 and the greater Olympia area. 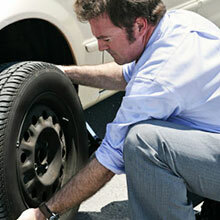 We can remove your flat tire and replace it with your spare tire in minutes. Tire changing can often be dangerous in high traffic areas, so let the trusted and certified Nisqually Team do the risky work for you. We can also tow your vehicle to our full-service repair facility or the nearest repair facility if you do not have a working spare. Contact our tire changing team now at 360-491-4357. 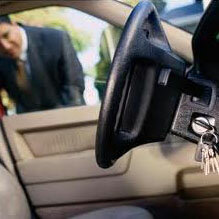 Nisqually Automotive & Towing provides fast car door unlocking service for all vehicle makes and models. Whether you locked your keys in your car, truck, camper, or your RV, our trained and experienced team of roadside assistance providers can get your car door unlocked and get you on your way in minutes. Call our 24hr dispatch center now at 360-491-HELP to get our Roadside Team headed your way now. Stranded on the side of the road with an empty gas tank? With quick gas delivery services in Olympia, Lacey and throughout Thurston County, you never need to worry about being stuck without gas. Whether you are on your way home from work, visiting the capitol building, or passing through to Seattle or Portland, the Nisqually Roadside Team has your back. 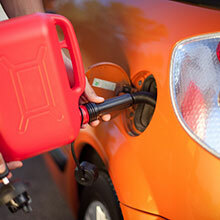 Our experienced and trusted roadside professionals can arrive at your location with 2 gallons of gas quickly and get you back on the road to complete your journey. 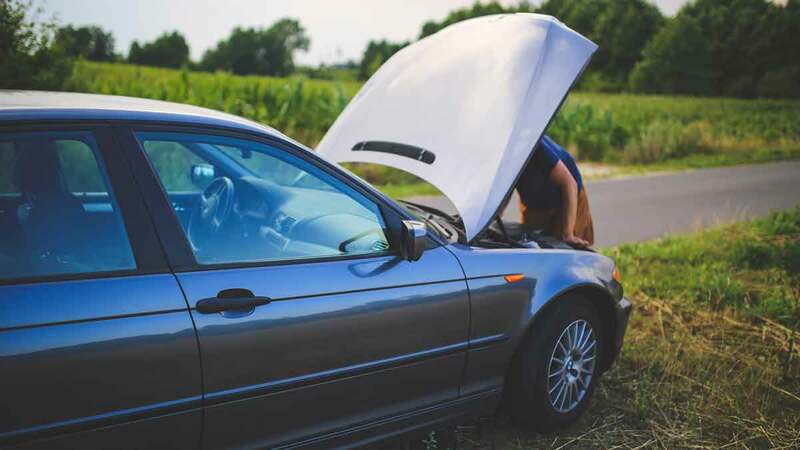 Nisqually Automotive & Towing provides 24hr mobile battery replacement service in Olympia, Lacey, greater Thurston County and to all points within our service area. Our dedicated battery service vehicles are stocked with multiple AAA batteries to fit most vehicles. We provide complete mobile battery installation services along I-5 and US 101. Our team of experienced and trained roadside assistance professionals will remove your old battery and replace it with a new battery on site. Call our 24hr Mobile Battery Team now at 360-491-HELP (360-491-4357). Dead battery? Weak or dimming lights? 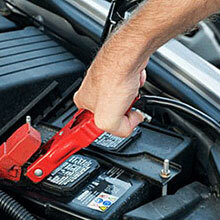 Car batteries can fail at any time and without notice. Call Nisqually Automotive & Towing to have a battery technician dispatched to your location. We offer many battery services including battery replacement, installation, charging, testing and retired battery recycling. Let us test your battery and charging system for you. We can provide you with a complete print out of your results and also install your new battery on site. When you have an automotive battery need, our team has you covered.